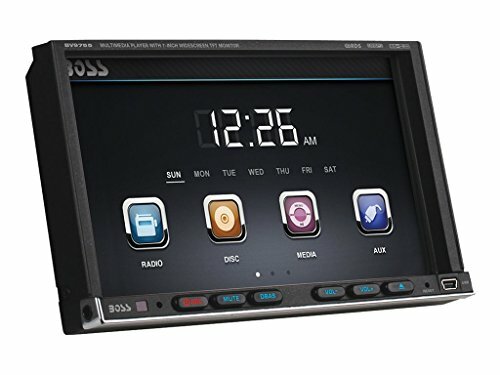 Keep your eyes on the road and your ears on the sound with the BOSS BV9755 entertainment system. Pump up the volume whether you enjoy the radio, DVDs, CDs or MP3s. You can also enjoy your favorite smartphone playlist through the Aux Input or use the SD and USB ports for your audio files. Add on a rear camera and back up with confidence using the 7" motorized monitor. Feel like a pro cruising down the highway as you keep everything under control from your existing steering wheel controls [interface required, not included), touchscreen monitor or wireless remote. With the BOSS Audio BV9755, rocking your vehicle has never been so cool. For further product details, please scroll down. Studio: Boss Audio Systems, Inc.